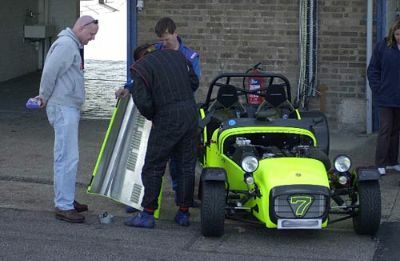 With more and more noise restrictions on UK track days it is getting harder and harder to pass noise tests with standard induction and exhaust products. 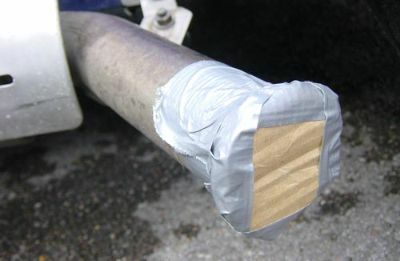 There are already many types of exhaust system available which provide good noise reduction. 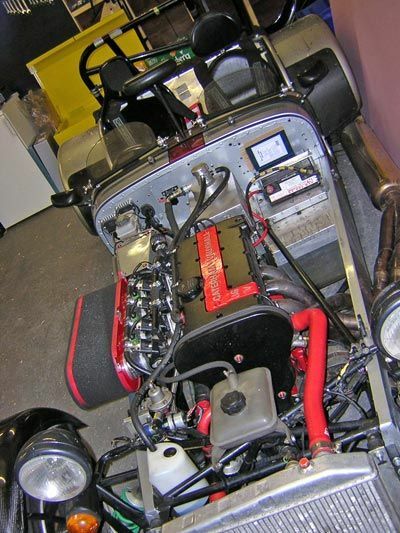 However it is often induction noise that causes problems, especially with the use of high performance throttle bodies. 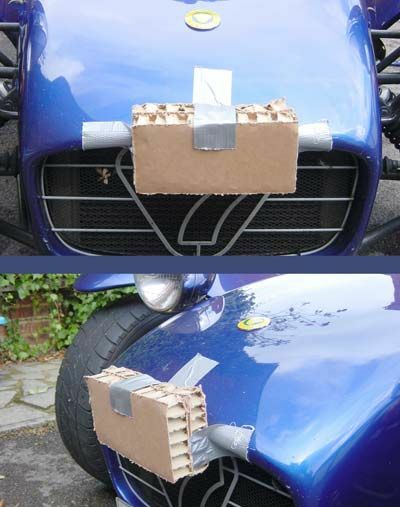 This new product has been developed to work with all types of engine and all types of induction equipment. 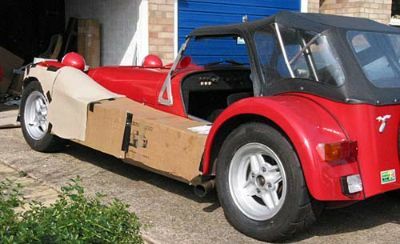 Each box is hand crafted to fit the specific client car, ensuring maximum performance - after all, no two Caterhams are the same! The material used for this product is a hi-tech composite, with a honey-comb construction. It has the added bonus of being completely re-cycleable. 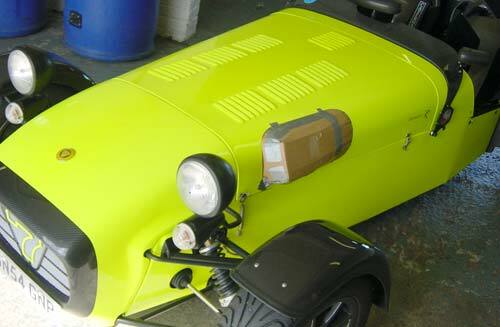 The smooth lines blend in perfectly with the Caterham style. 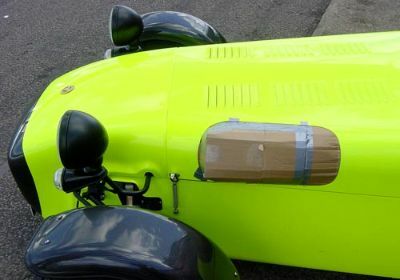 The box has been shaped in the wind-tunnel to provide the best aerodynamic performance, both in terms of induction, and overall car drag factor. 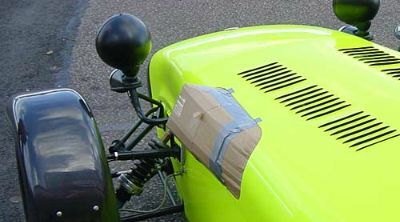 Testing was completed in secret at many top UK circuits. 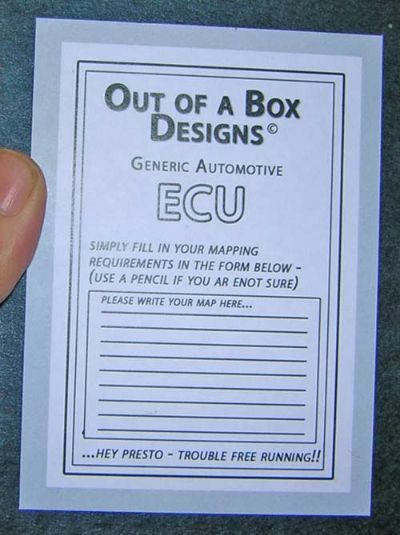 An ultra-streamline model has also been developed. 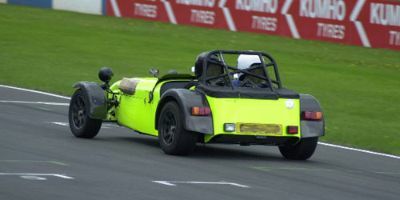 This one is shown on a 2.0ltr Vauxhall engined car. Although many people like the natural hi-tech finish of the new airbox, it is also available in any colour of finish to special order. Off for another near silent session! After a successful launch of our induction noise box, we have now released first images of our exhaust solution, which when used in conjunction with our induction kit, should help reduce noise considerably. Please do not try and replicate these products. 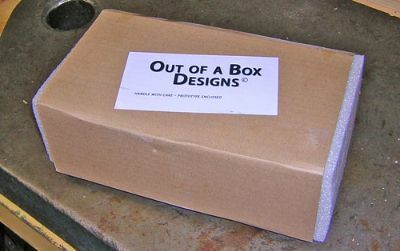 'Out-of-a-box' Designs use special 'motorsport' spec materials which have been specially treated to suit the application. Another inquiry asked if we were developing a system for injected engines with standard manufacturers induction systems. Well, yes of course!! This system is designed for the K-Series induction system, and reduces noise by similar levels to the product shown above. Because the noises associated with the K-Series induction system are not as loud as other throttle body based systems, the noise reduction system here does not need to be so large. 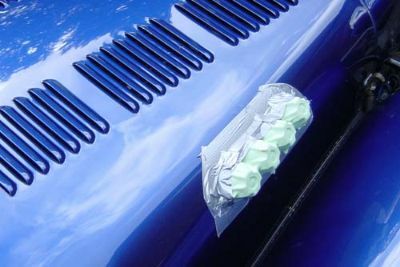 This means that this system is also very aerodynamicaly efficient, and only adds to the appearance of the car. One of the problems with wearing a helmet in wet weather conditions is excessive water running across the field of vision. Using our organic composite material helps to prevent such problems. 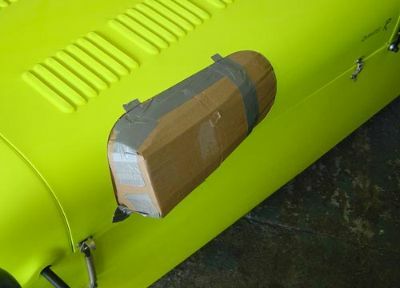 It's micro-porous construction absorbs any excess water and helps safe vision on track! Extensive testing has proved that this product (and indeed all our products) really work. 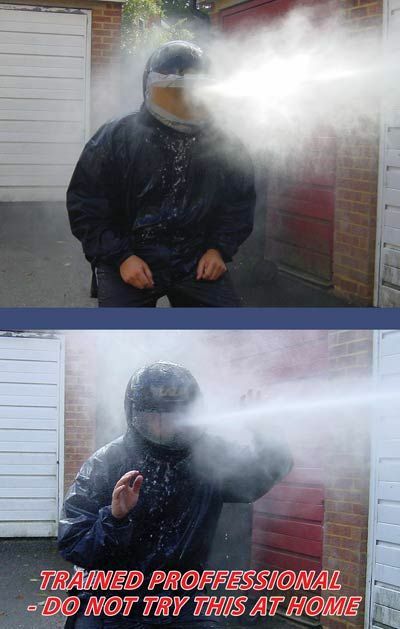 As these exclusive shots show, the tester above is calm and relaxed, despite gallons of water washing over his protected helmet. 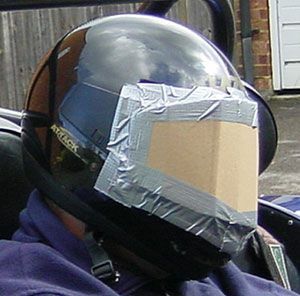 Compare this to the image below which shows the same tester with the same amount of water deluge, but WITHOUT the 'Out-of-a-Box' helmet visor addition. 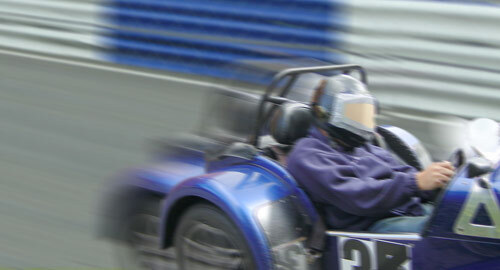 He can clearly be seen to be panicing, and in no fit state to drive a car at speed on track. 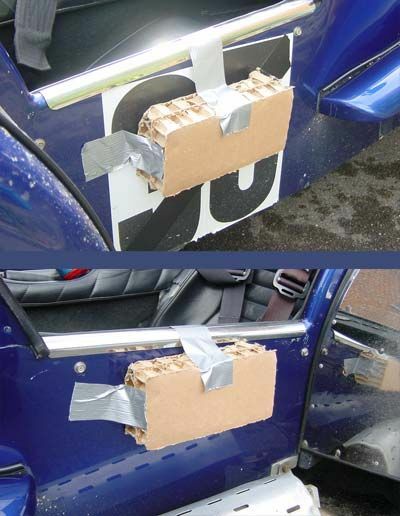 Extensive motorsport testing is vital to the integrity of our products. 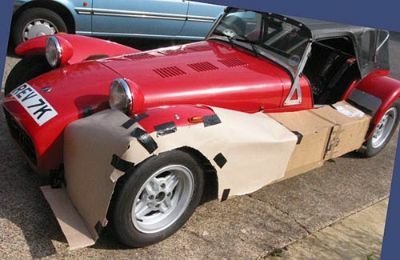 Using a development of our original material as seen in our induction systems, we have also developed an absorbing impact structure, which offers huge increases in protection from bumps and knocks. 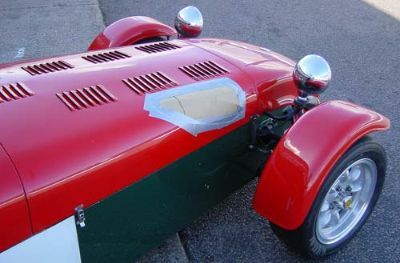 Similar structures can also be purchased for side-impact protection. 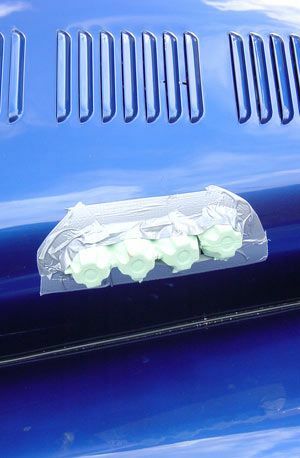 AMMO has used a similar material to that used by 'Out-of-a-box' Designs to create wind-tunnel tested aero tweaks for his car. 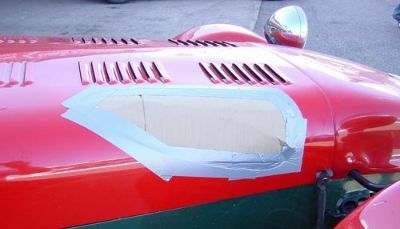 This material should not be confused with the hi-tech Motorsport developed material used by us, but you can see that the guy has potential. 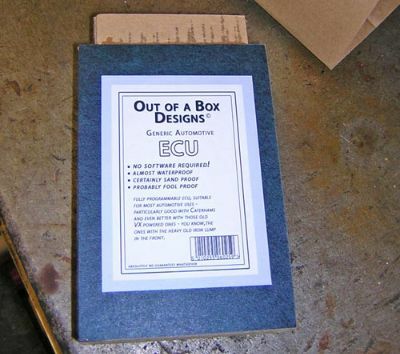 I have yet to see examples of actual testing for these products, as seen above for 'Out-of-a-box' products. 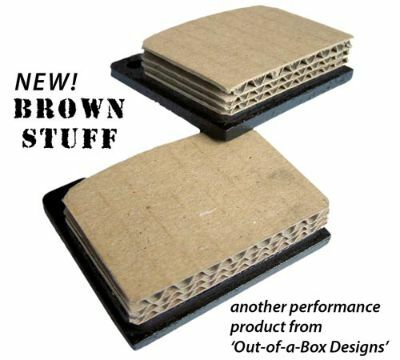 After extensive research and testing we are proud to give you new 'Out-of-a-Box' Designs BROWN STUFF® brake pads. 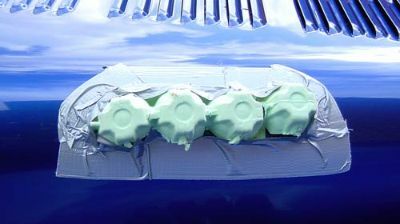 Their triple core construction also incorporates internal cooling channels for maximum efficiency. 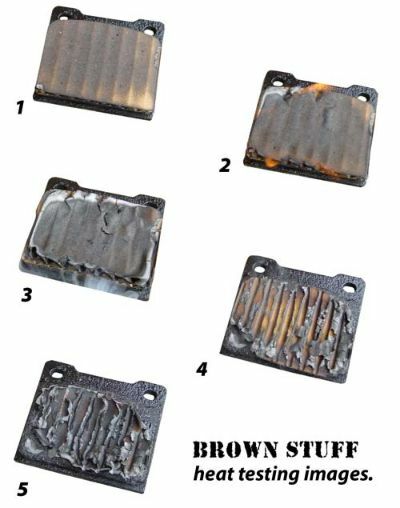 'Brown Stuff'® uses our special composite material to provide un-surpassed stopping power. They are designed using the F1 principle of tyre compounds. It is well known that the stickier the tyre the more effective it is in grip and traction. However, such tyres also have very short useful lifespans, and indeed may well only be at their best for one lap. Our pads work on a similar principle, but so effective are they that they provide the ultimate stopping power for less than one corner - amazing! Shown here in standard form, Brown Stuff® will soon be available for uprated 4-pot race calipers. We hide nothing from our customers, and in keeping with this philosophy we like to share with you some of our extensive testing procedures. The series of images below show a sequence of stages during one of our very thorough heat test cycles. Do not be shocked by these pictures - the process is entirely normal. 1. Initial heat cycle may result in some slight disscolouration. 2. The next stage of heat cycle may result in some flames. Do not be alarmed, this is also normal. 3. 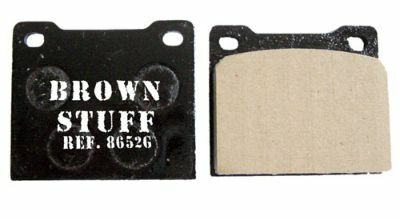 After the flames die down, a hard layer of carbon forms, which provides excellent stopping power and initial bite. 4. The specially designed internal grooves help cooling, rather like a grooved brake disc. 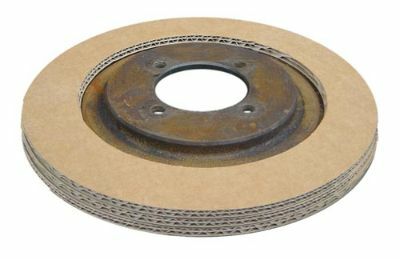 Developed for use in conjunction with Brown Stuff® pads, these brake discs offer a number of advantages over more conventional steel discs. Our simple construction ensures an incredibly light construction. 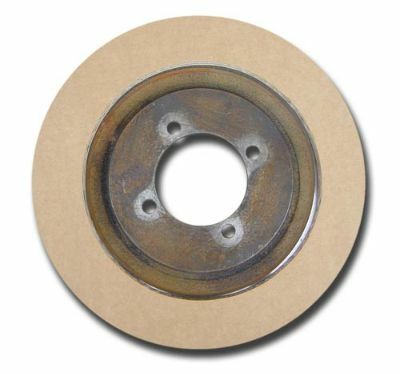 You can also see from these pictures that the discs surface has very good anti-corrosion properties. Our unique construction also ensures an even heat dissipation throughout the whole disc. Micro Grooves throughout the material channel heat away from the friction surface. 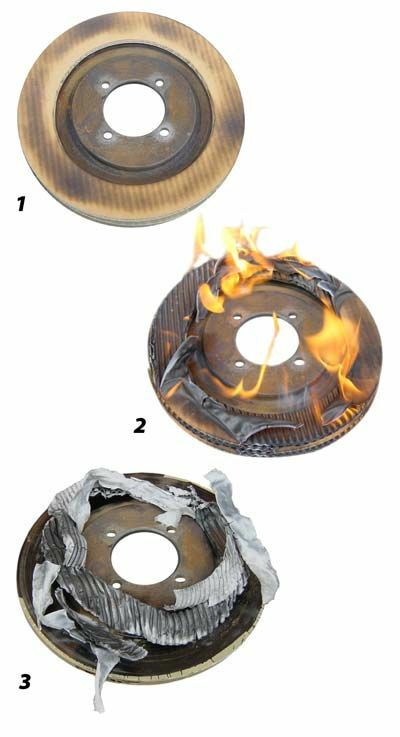 Our brake discs are subjected to a very similar testing program to the 'Brown Stuff'® brake pads, and as you would expect they compliment each other very well. As before, the initial heat cycles create a fragile looking but actually incredibly resilient carbon layer.